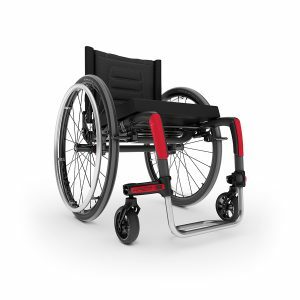 The Aero X features an innovative modular design with clean modern lines and configurability. 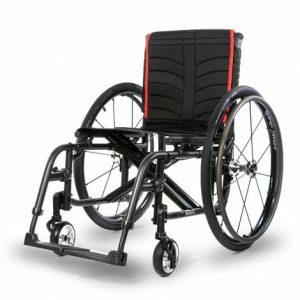 Featuring multiple configurations that include heavy-duty, hemi, and amputee options. 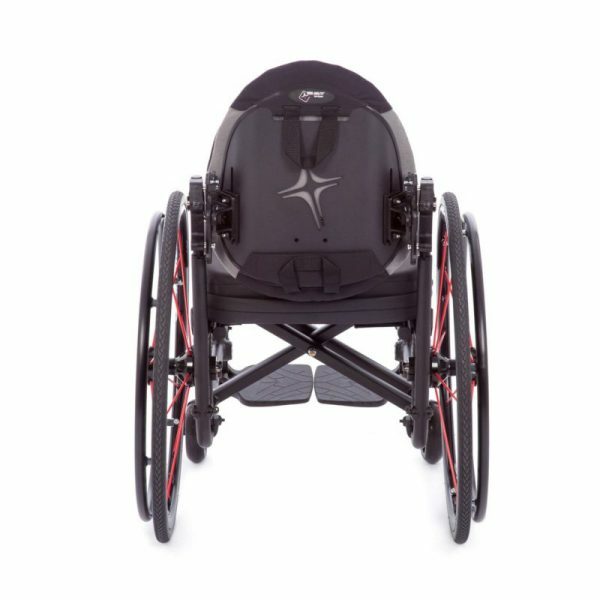 Add superior rolling dynamics and full adjustability, and you get an Aero X that excels in both performance and price. The Tru-Fit System opens up the world of adjustability by incorporating an infinite adjustment mechanism. The Tru-Fit system allows you to fine tune the fit of your chair because you are not limited to a series of pre-set holes. Also, instead of bolting through frame-weakening holes, components clamp directly onto the frame. 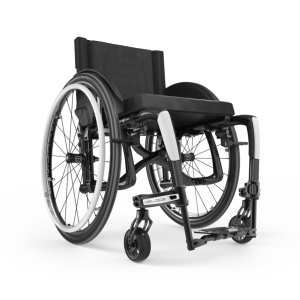 This eliminates one of the main stress points on today’s wheelchairs by reducing the number of holes in the frame. Improved Speedloader Design makes for easier, more durable adjustments and two positions (forward/backwards) for caster positioning. 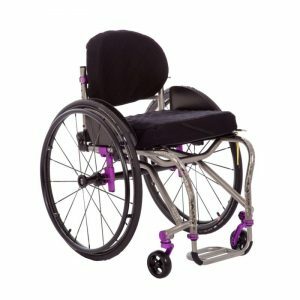 Redesigned Footplates are lighter with a rubberized non-slip surface and an updated look. 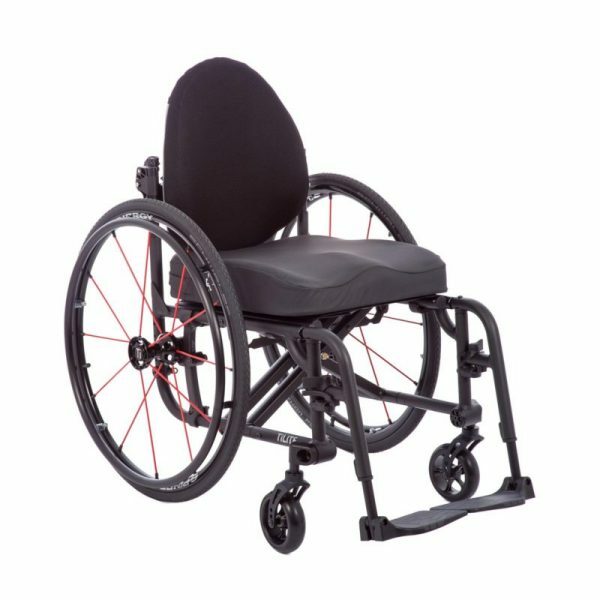 Patented Curved Axle Plate allows for the greatest range in center of gravity adjustment and rear seat height adjustment. Snap-In Seat Saddles lock the cross tubes in place on TiLite’s rigid folding mechanism. 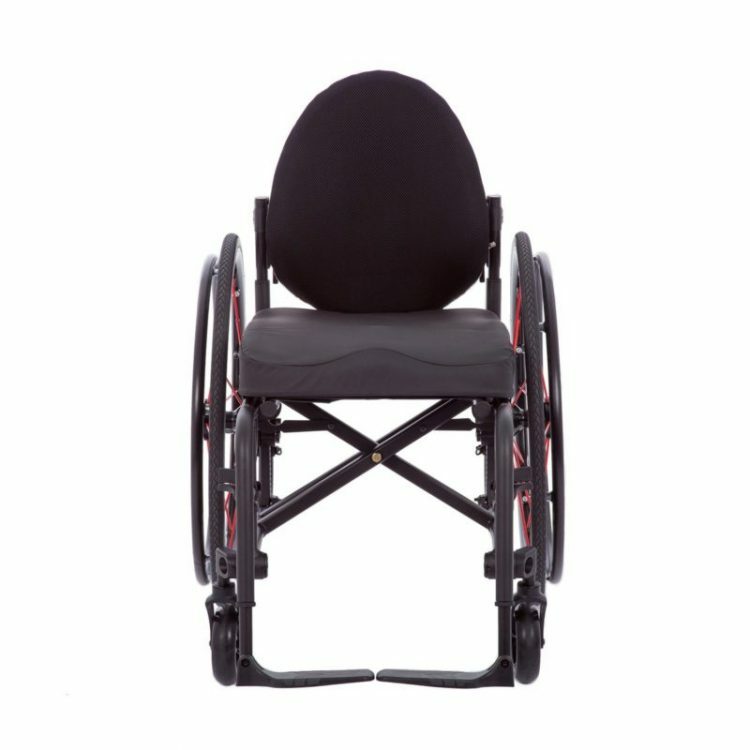 This feature helps the Aero X achieve rigid chair performance. The Aero X utilizes Machined Plugs to create rear wheel camber. 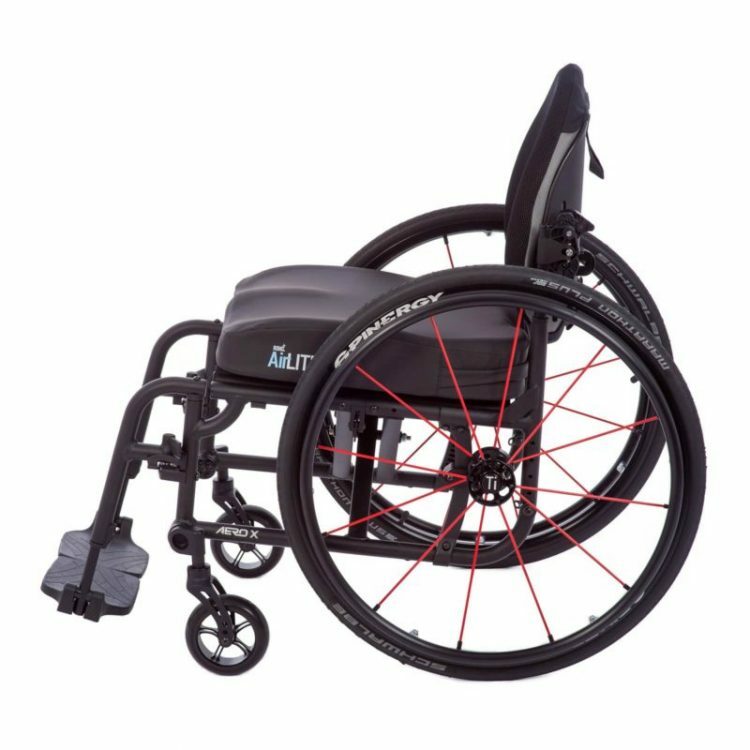 In contrast to using washers to create rear wheel camber, the use of machined camber plugs precisely aligns the Aero X’s rear wheels, allowing the chair to consistently track straight.